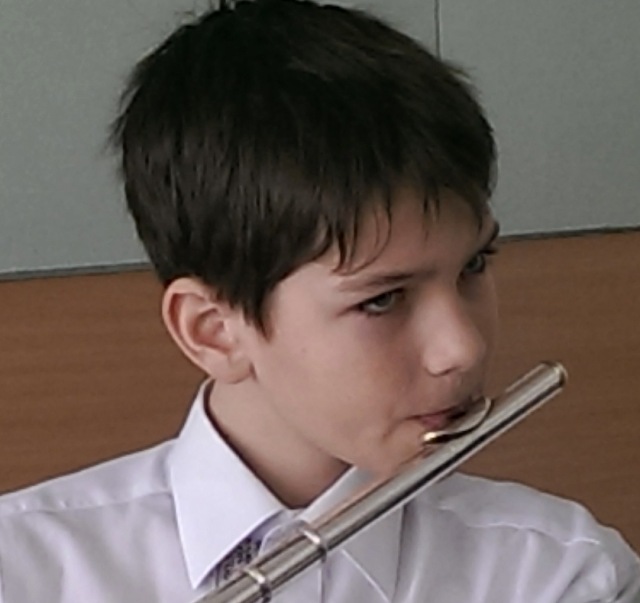 Yaroslav Vodovozov is studying in Kyiv Secondary Specialized Music Residential School named after M.V. Lysenko. He is winner of national and international competitions: ""Vin Venti"" (2016) -I prize "Podilsky Waterfall" (2016) (Vinnitsa) - I prize, "Horizons of the classics" (Kyiv, 2016) - II Prize, ""Classic Meredian"" (Kyiv, 2016) - I prize National competition of performers on wind and percussion instruments named after Nikolai Tymoha (Kyiv, 2017) - I prize, Participant of mastercourse of Barbara Svyatek-Zelazna (Poland).